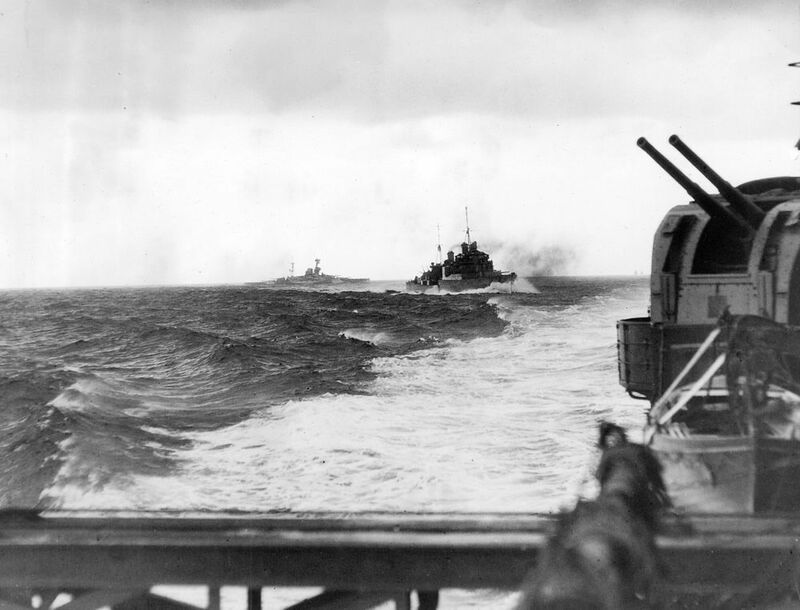 Force H going into action off Cape Spartivento, Italy, on 27th November 1940. Pictured are battleship HMS Ramillies (launched 1916) and cruiser HMS Newcastle (launched 1936). This Force H Going into Action off Cape Spartivento Art Print is created using state of the art, industry leading Digital printers. The result - a stunning reproduction at an affordable price.